If you rely on the BBC for your diet of news, you probably will not have realised how embarrassingly haphazard and poorly produced the once universally praised BBC News’ output has become in recent years. The slow and painful decline is in large part due to its insistence on subsuming its once-lauded Reithian values and attention to details and facts in the production and delivery of news to those which could be more readily described as the values of the sensationalist and unethical tabloid The Daily Mail. One annoying example of this trend is its insistence, in the last few days, of describing a tax dodge carried-out by corporations and known the world over (by tax experts in particular) as “corporate inversion” by a completely erroneous term. For reasons best known to Radio 4’s Today programme and Radio 5 Live’s Wake Up To Money, the BBC has decided that this corporate wheeze will now be known as “tax inversion”. In order to help the BBC’s presenters with this apparently impossible task of calling things by their technically correct name, this entire blog post has been created for their benefit; and I have even called upon the good offices of Stephen Colbert, Jon Stewart and The Conversation for assistance. 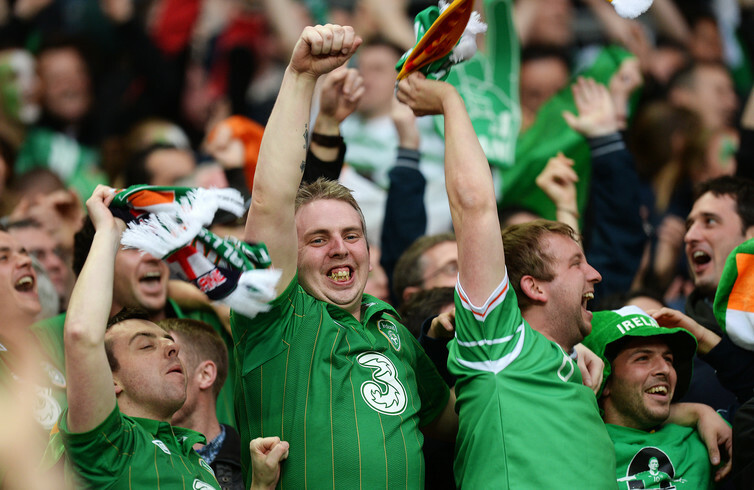 These Irishmen have just received their corporate tax bills. People can raze mountains, divert rivers, clear forests and give subsidies, grants and preferential loans as a welcome to corporations, but the companies themselves don’t have any loyalty to communities or the nation-states which nurture them. Their sole concern is profits, and they are off as soon as they can find a better financial deal. US medical device maker Medtronic’s US$42.9 billion purchase of the Ireland-based company Covidien is the latest example of such a move. The deal not only highlights our weakened international tax system, it draws attention to the entire trajectory of western capitalism. The rationale for the takeover has little to do with increasing production, access to skilled labour or access to foreign markets. Medtronic wants to move its headquarters because Ireland’s headline corporate tax rate of 12.5% is more attractive than the US rate which can hit 35% (though the effective rate in the US is considerably less, due to various allowances and tax deductions). Medtronic is engaging in what has become known as an “inversion”. The key idea is to re-incorporate in a low-tax country by taking over an entity there and thus subject your profits to its tax laws. This deal alone may save the combined entity US$850m in taxes by 2018. Inversions are proving to be popular among American companies whose non-US profits are rising. In general, the US levies taxes on a corporation’s global profits, but these taxes can be reduced, subject to numerous anti-avoidance rules, if profits are not brought home. US companies have therefore built up vast piles of cash abroad to avoid taxes at home. Inversion does not mean that the companies will give up their markets and production facilities in their former home countries. All they are changing is the fiction of their legal existence. Medtronic is not alone. Earlier this year, Pfizer made a similar attempt. US pharmacy chain Walgreen is under pressure from shareholders to relocate its headquarter to Switzerland. Chiquita, best known for its bananas, is moving its headquarters to Ireland, and insurance broker Aon shifted its head office from Chicago to London. What we are witnessing is a race to the bottom as corporations exert pressure on elected governments to reduce and eliminate corporate taxes. This is not a zero-sum game; the erosion of tax revenues would result in loss or dilution of hard-won social rights relating to education, healthcare, pensions, security and other things that make for a civilised society. Citizens would have to pay higher taxes for a crumbling social infrastructure while corporations and wealthy elites enjoy a free ride. Nation states should increase the costs associated with inversions. For example, before a company ups sticks and changes its legal status it should be required to return all subsidies, grants and loans, and make good any environmental degradation. This needs to be accompanied by a fundamental reform of the system for taxing corporations. The current system is the outcome of tax treaties negotiated nearly a century ago. Its key elements were that corporations would be taxed at the place of their residence or control rather than where the economic activity took place. Companies in a group were not treated as part of unified whole but as independent entities. Thus, each of the hundreds of subsidiaries of Medtronic or Pfizer would be treated as separate taxable entities which could simultaneously reside in numerous jurisdictions. There is the problem of how to deal with transactions within a large corporate group (such as management fees, royalties, transfer of raw material or partly finished goods) which could be used to shift profits from one jurisdiction to another. So the treaties agreed on a system known as transfer pricing. The idea was to value intra-group transactions at what the OECD calls “arm’s-length” principle, or free-market prices. All of the above features are now a source of problems. In a world dominated by global corporations, independent arm’s-length transfer prices are difficult, if not impossible, to obtain. The idea of treating subsidiaries as independent entities rather than part of a single group merely invites tax games as corporations shift their profits to whereever the tax system is most favourable. Companies can have assets, sales and employees in one place but for tax purposes can claim to be resident in places where they have little economic activity and thus escape tax liabilities. All of this can be checked by a system known as unitary taxation. The essential idea of unitary taxation is that a group of related companies is treated as a single unified economic entity. The group’s global profit is calculated. This profit is then allocated to each country in accordance with a formula which takes account of what drives profits. These could be the sales in each jurisdiction, the number of employees and the location of assets. The allocated profit can then be taxed by each country in accordance with its democratic mandate. Unitary taxation does not attach any importance to where the corporation is located. It negates all intra-group transactions because they do not add any economic value. Value is only added when a group transacts with an external entity. The European Union is advocating a system known as the Common Consolidated Corporate Tax Base (CCCTB), which is a variant of unitary taxation, and has the potential to check corporate strategies for tax avoidance.